All the recipe ideas assume you are using fresh wet leafu rather than dried, but you should be able to adapt the dishes if you've got dried curds. 1. Bread Spread: Simply butter up some fresh crusty bread with your favourite marg (we used Vitalite) and top with the leafu. Season with salt and pepper and enjoy. 2. 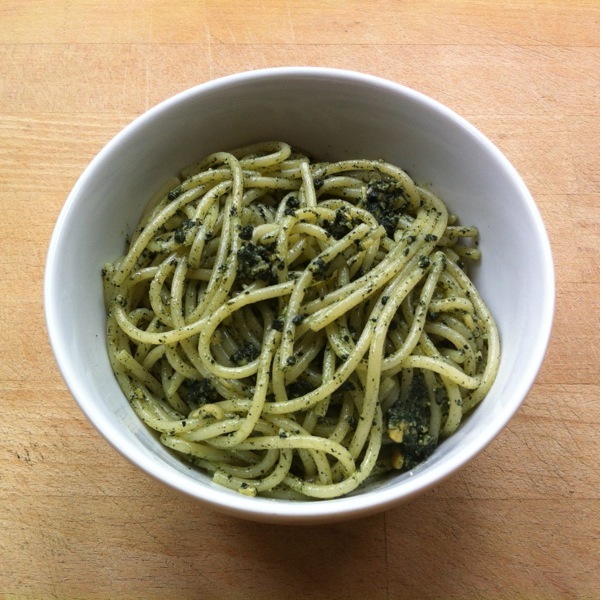 Pesto for Pasta: You can use the leafu to make a pesto. In a pestle-and-mortar, grind up a tablespoon of pine kernels, a tablespoon of leafu, a tablespoon of olive oil, a teaspoon of yeshi (nutritional yeast), half a clove of garlic and salt and pepper to taste. Stir through a bowl of cooked spaghetti. 3. 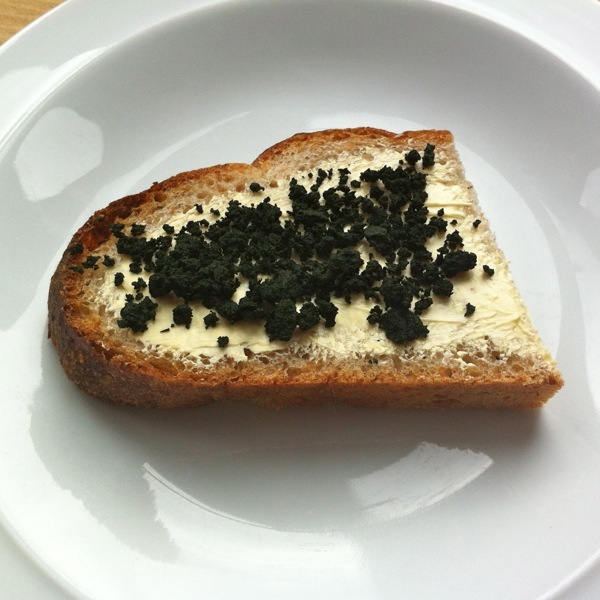 Tapenade: Make a very English version of a tapenade with leafu and gherkins instead of olives and capers, and rapeseed (canola) oil instead of olive oil. Finely chop a small pickled gherkin and mix with a tablespoon of leafu, half a clove of crushed garlic, a tablespoon of rapeseed oil, and salt and pepper to taste. 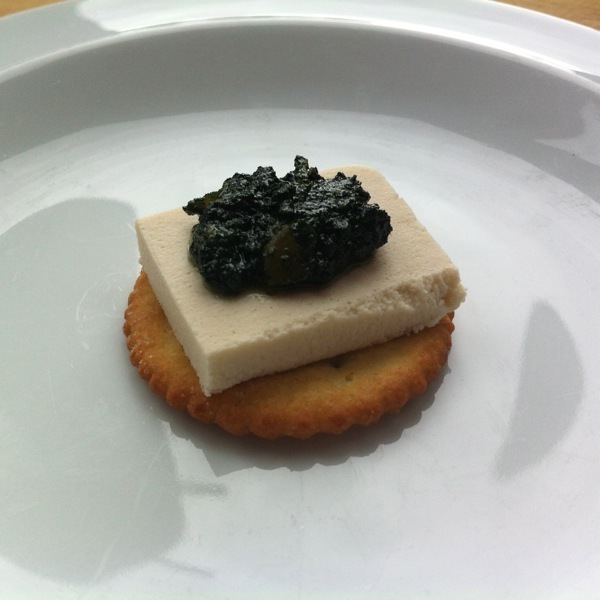 Top a cracker with a slice of non-dairy cheese and a dollop of the tapenade. 4. Shot with Pepper Sauce: For those who like their leafu straight and with a kick. Use a stick blender to liquify a tablespoon of leafu with three tablespoons of water. 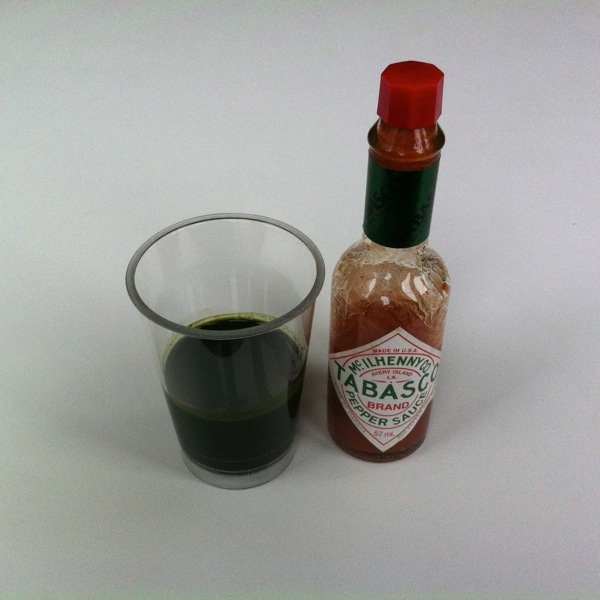 Serve in a shot glass with a dash of Tabasco. 5. 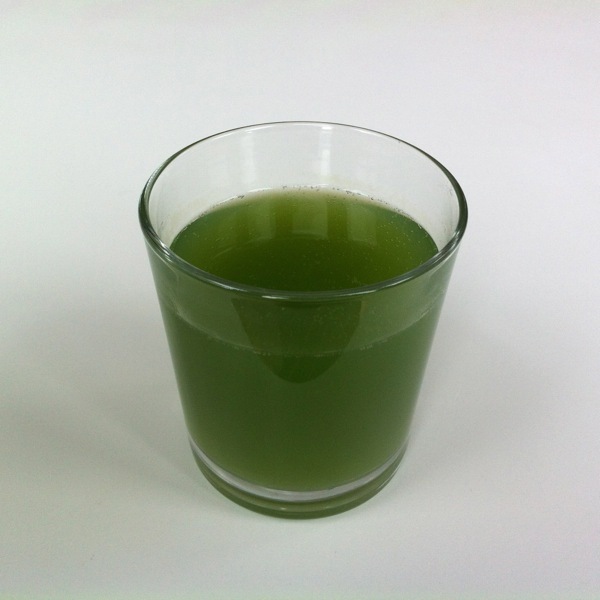 Green Lemonade: This might look odd but with the freshly-cut-grass aroma of the leafu it's a real taste of summer. Liquify the leafu in a little water with a stick blender and mix into cloudy lemonade. If you haven't got cloudy lemonade add lemon juice to clear lemonade first. 6. 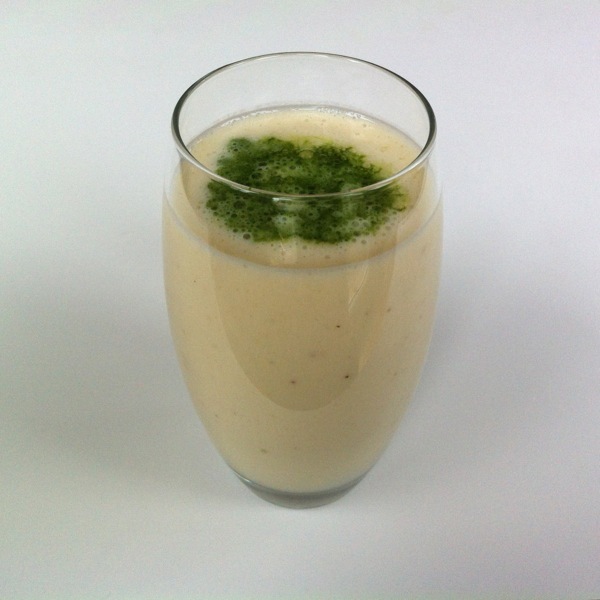 Milkshake or Smoothie: Make a banana milkshake by blending bananas with rice milk and a spoonful of plain soya yoghurt. Add a shot of liquified leafu. Mixing is optional..
7. Natural Yoghurt: Crumble some leafu into natural soya yoghurt and stir to mix. 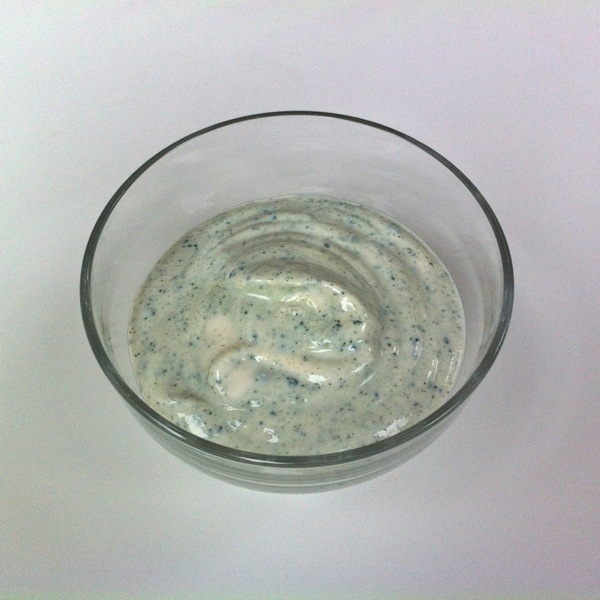 Alternatively you can liquify the leafu and mix with the yoghurt if you like yours smooth (and green), but you may wish to strain the yoghurt through muslin first, to make it thicker. 8. Breakfast Cereal: Another simple idea that you might think would taste odd, but really doesn't. 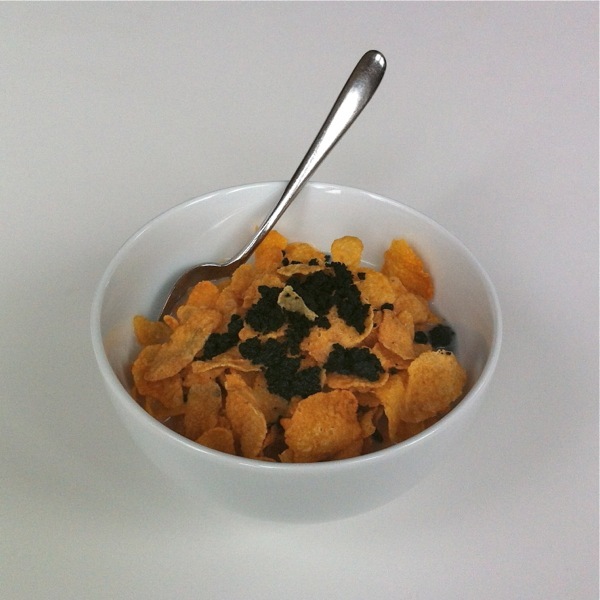 Simply crumble the leafu on your favourite breakfast cereal for a natural way to fortify your breakfast in the morning. 9. 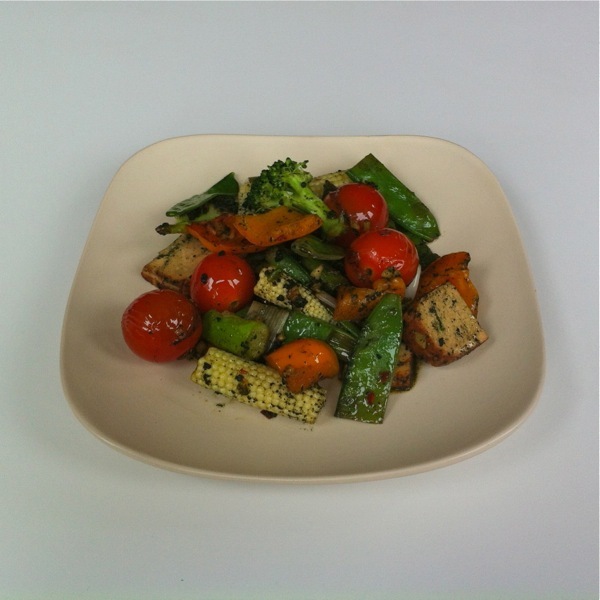 Stir-Fry: Use a wok to stir-fry chopped vegetables and pieces of smoked tofu with fresh ginger, garlic and chilli. Add a splash of rice wine, a good dash of soy sauce and some crumbled leafu. Finish with a drizzle of toasted sesame oil. 10. 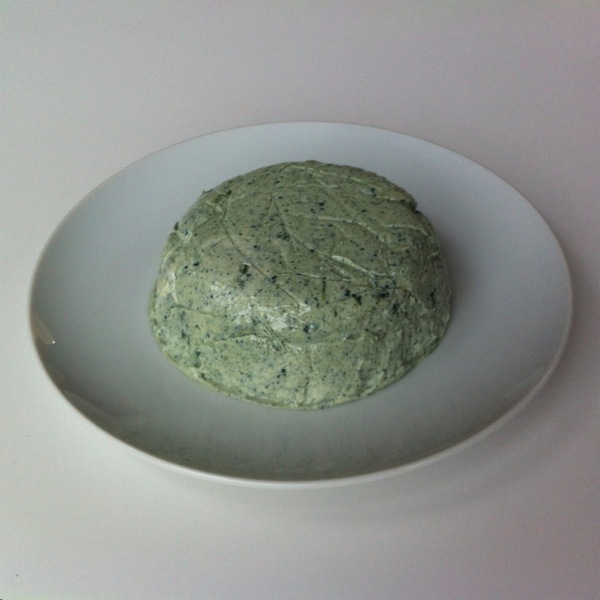 Qurd Cheese: You can make a dairy-free soft cheese called qurd by straining soya yoghurt through muslin until thick, and seasoning with salt, pepper and herbs. Leave out the herbs and add some crumbled leafu and a little powdered yeshi (nutritional yeast) to make a really tasty soft cheese. Use it to stuff some large mushrooms and bake in the oven. If you've enjoyed our guide to making the most of your leafu, let us know what you do with yours.